Description In this game there is a grid of dice. You need to remove them by picking up 5 dice each time. 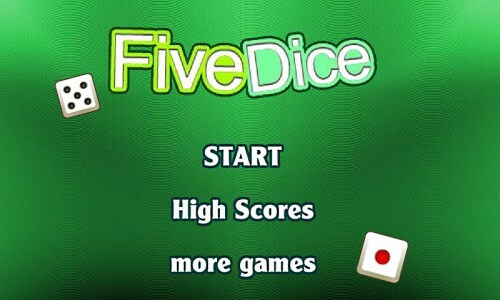 The pattern formed by the five dice will determine your score awarded. Examples of patterns include straight, full house, five of a kind, etc. The 5 dice must be connected. Use the mouse to click the dice and select them. Quite unexpected gameplay extension for the classic game.